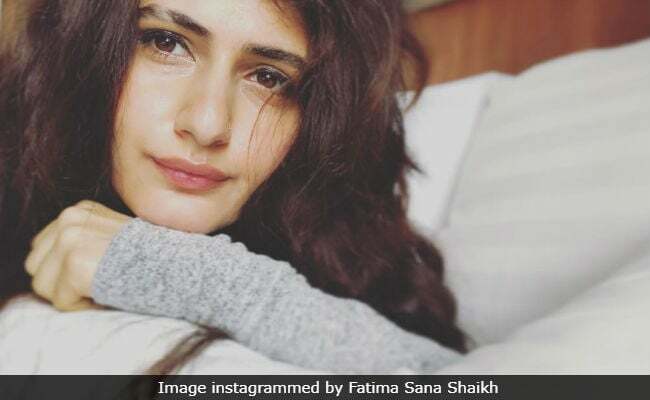 Fatima Sana Shaikh's Instagram posts often intrigue the ever active social media. A few weeks ago, Fatima shared photographs of herself and the Internet declared she resembles Katrina Kaif - her co-star in upcoming film Thugs Of Hindostan. Fatima Sana Shaikh, 25, was a child artiste and played the role of Kamal Haasan's daughter in Chachi 420. She has also co-starred in Shah Rukh Khan's One 2 Ka 4 and later she bagged full-fledged roles in Bollywood films such as Table No.21, Akaash Vani and Bittoo Boss. 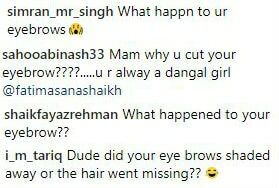 But it was with Aamir Khan's 2016 film Dangal, Fatima made her breakthrough in Bollywood. In Dangal, a biopic on wrestler Mahavir Singh Phogat, she played the role of Getta Phogat. As of now, Fatima is making Thugs Of Hindostan, which is directed by Vijay Krishna Acharya and produced by Yash Raj Films. The film also stars Aamir Khan and Amitabh Bachchan.